Martin Keown says Liverpool’s attackers are ‘letting down’ their defence at the moment after a string of chances were missed at Goodison Park on Sunday. Mo Salah and Sadio Mane both had opportunities to win the three points for the Reds against Everton, but none of the chances were converted. Meanwhile, at the other end, Everton never looked likely to score themselves. With the result leaving Manchester City as favourites for the title, the Reds will face scrutiny this week before playing Burnley at Anfield next Sunday afternoon. 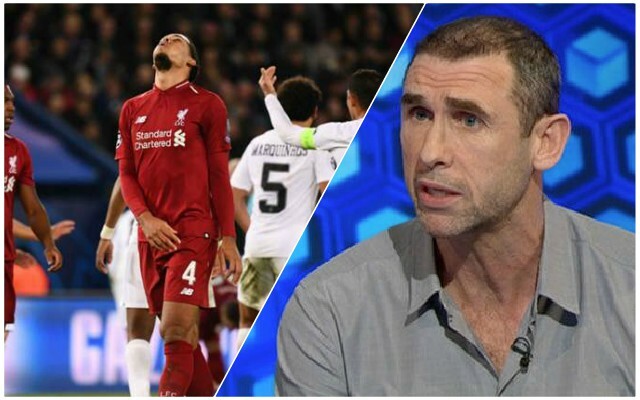 Keown wrote in his Daily Mail column: “If Liverpool do not win the Premier League, they will look back on this as the day they blew it. It’s certainly all change from Wednesday night when Salah and Mane blew Watford apart in the 5-0 victory. Beat Burnley convincingly next weekend and the doom and gloom will shift again. It’s well worth remembering that Salah has 17 league goals this season and Mane has 14 – more than he’s ever managed before for the Reds in a single season. As much as Van Dijk has been superb, the Reds wouldn’t have taken 70 points from 29 games had the forwards not fired for most of this season.